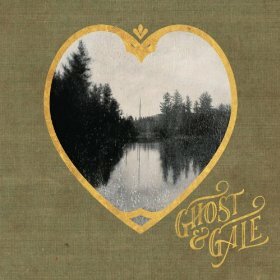 Fans of such artists as The Civil Wars, rejoice! Brodie Jenkins and David Luning are making dreamy folk music with magical harmonies now. This indie/folk duo are based out of California’s Bay Area, having grown up in Sonoma county. The duo say of themselves they are just a boy and girl making music together, “a whiskey warm baritone blended with a buttery alto.” Well now that we are craving whiskey and something with butter, let’s head down to Amnesia-debut release party this Thursday, 11/14 to celebrate with friends, family, and fans. The music is every thing you’d expect-acoustic guitar and piano taking turns being lush (“Take Me To The Fire”), spare (“New Love”), and sweeping (“Beautiful Lie”). The video for the single “Take Me To The Fire” was successfully funded by Kickstarter for a professional cinematic scale not often seen in music videos. It portrays a haunting story with an unexpected twist and gives new meaning to the lyrics “raising up the light we’ve stolen.” Fans who donated $25 or more get signed copies of the debut EP – a wicked awesome way to show love to fans. Sadly, there’s only six songs on the EP. Here in the Nest, we can’t wait for the next six.